Known as a “green” food that helps promote nutritional wellness, Alfalfa contains important phytochemicals, which may contain antioxidant capabilities. ** Alfalfa has traditionally been used for joint and digestive health, and lately has become popular for supporting women’s health, especially around the time of menopause. 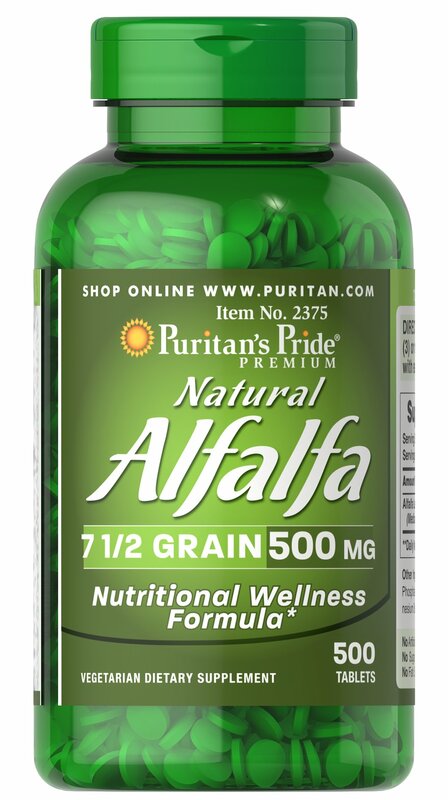 ** Our Alfalfa tablets are vegetarian friendly. No Artificial Color, Flavor or Sweetener, No Preservatives, No Sugar, No Milk, No Lactose, No Soy, No Yeast, No Fish, Sodium Free.